It's Christmas soon, I mean, Starbucks have got their red cups out and the Christmas lights will be turned on in the cities soon. With Christmas comes Christmas shopping and who doesn't love the giftsets that come out every Christmas? 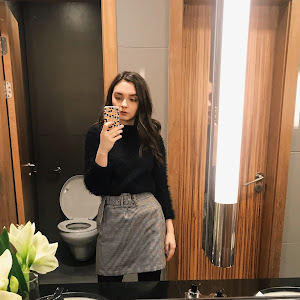 I am a huge fan of giftsets and have put together a list of my favourites. 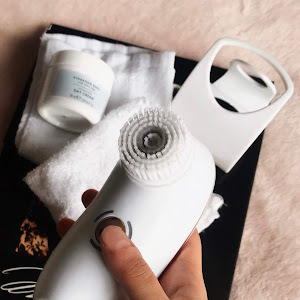 So whether you're looking for a giftset for your friend, your sister, your mum or yourself, I have you covered for the best from Debenhams and Boots. I am a big lover for makeup so most of the giftsets are makeup related, but there are a couple of nail care sets and skincare sets. Some are from brands I have never tried and other from sets I am obsessed with. When it comes to giftsets it can be nice to receive (or buy for yourself) a giftset from a brand you have never tried because you can try out the brand and the best selling products without paying a lot and risking the chance of not liking them or having a reaction to the products. 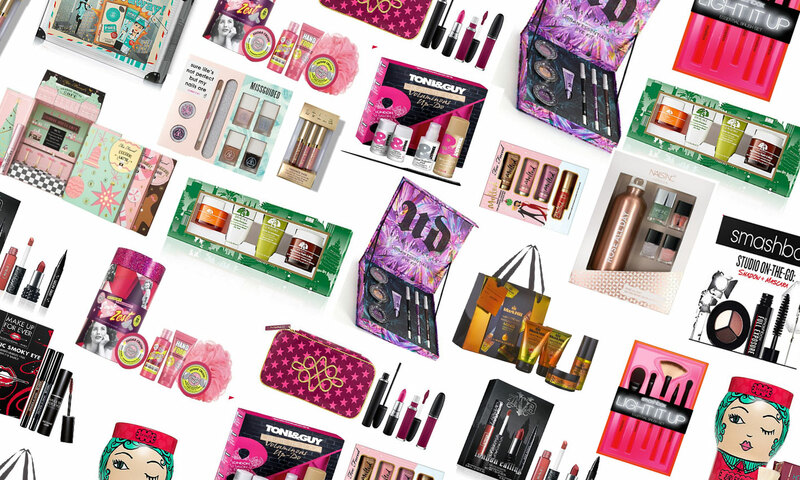 When it comes to MAC, Urban Decay, Benefit and Too Faced I would love these products because they are some of my favourite brand and of course when it comes to the MAC and Too Faced set they are Christmas themed and I love all things Christmas. I love the shades in the MAC set they are absolutely beautiful, but colours I wouldn't pick up myself because I like to play it safe when buying for myself. When it comes to Kat Von D, Makeup Forever, Smashbox and Stila I have never tried these brands before so a little giftset would give me the feel of the brand and it's quality without having to overspend and risk hating the products. Plus with all these brands they are super popular and the products in the sets seem to be the best sellers. Of course, everyone loves a good body care set among their Christmas presents. I love Soap and Glory so of course, they made it on the list with their Sugar Crush set which is my all time favourite set from them. 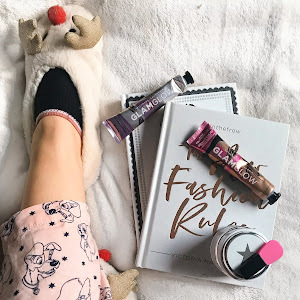 When it comes to Origins I have heard so much about the famous brand, but have only actually tried one item from the, I know, how did I make it this far in life without buying everything! If you are a reader of my blog you would know I adore Mark Hill and so a gorgeous set, of course, made it onto my ultimates list alongside a Toni and Guy set because guess what? I have never ever tried Toni and Guy! 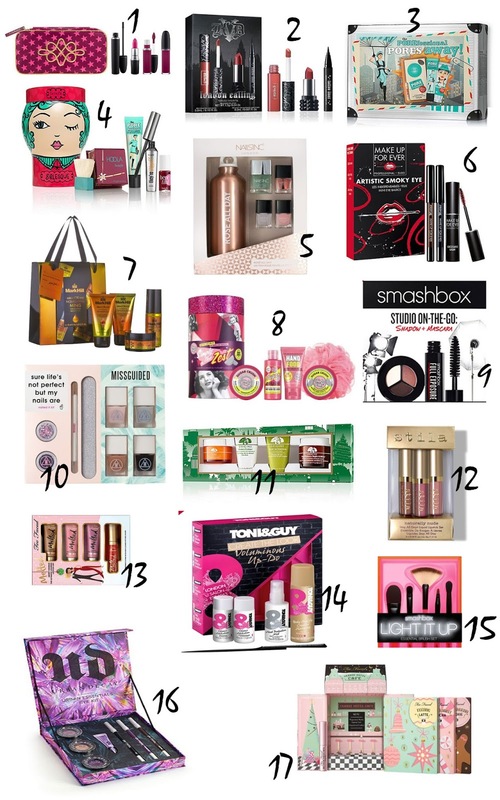 The best thing about this list is because there is a variation of prices, some things are on the cheaper end of the spectrum and others are more high-end and pricey, so no matter what your price limit is you can find the perfect giftset for your loved ones. So what is your favourite set of them all? Do you like receiving giftset or are you not a giftset fan?